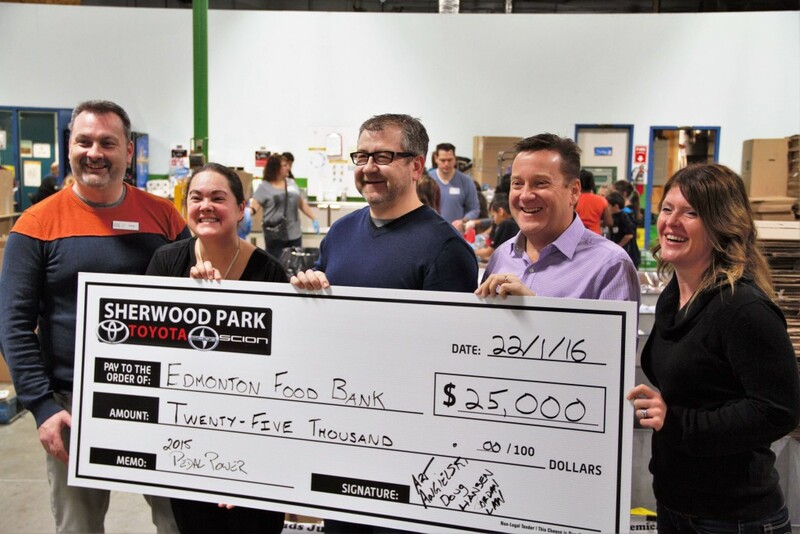 Sherwood Park and Edmonton is fortunate to have such a wide variety of local charities and non-profit organizations that support our community and the individuals that need it most. Sherwood Park Toyota is proud to share that our donations have reached over $350,000 in funding to local agencies with our Pedal Power Event! We’ve donated over $50,000 to the Fort McMurray wildfire fund in support of our Alberta Strong friends and family. We love supporting those who make a positive impact and Sherwood Park Toyota would love to support each and every charity but unfortunately, that just isn’t possible. If you’re looking for support we’d be happy to make something happen, simply fill out our Donation Request Form below. Written, phone, or email requests will not be accepted. Although submitting an online request does not guarantee your organization will receive a donation, Sherwood Park Toyota will do everything in its power to make that possible. Request form must be completed and submitted online by November 15th to be considered for the following calendar year. We really appreciate you considering Sherwood Park Toyota as a supporter. We thank you for your work and dedication to your charity and wish you the best of luck with your fundraising efforts.